We already knew that most of the gang from HBO’s Girls would be appearing on The Simpsons’ upcoming 27th season as a “young, funny pharmacist” and her friends, all of whom presumably hate each other a little, if it’s anything like Girls. But they won’t be the only people from Girls to pop up on the show this year. 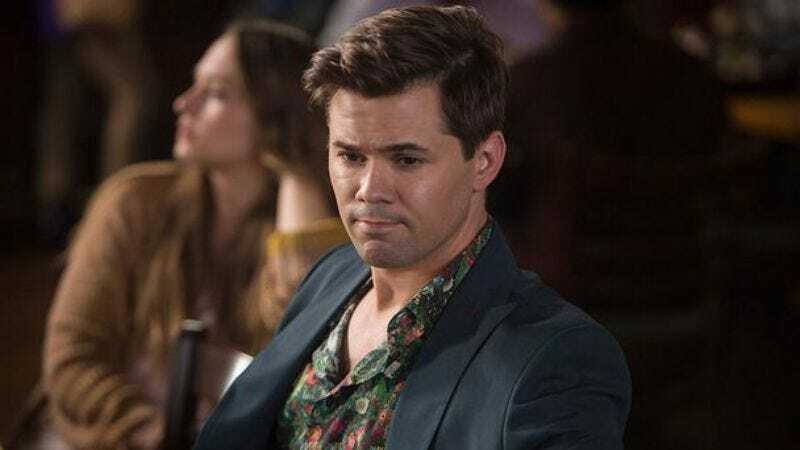 According to TVLine, Andrew Rannells (Girls’ Elijah) will guest-star in an episode this season that involves Lisa and Marge fighting over something and seeing a performance of Bad News Bears: The Musical in Capital City. Rannells will play himself, the star of the musical, and he’ll apparently give Lisa an uplifting speech about how important it is to have a good mom. This is most likely a reference to a long-held superstition in the theater that says you must give small children advice on getting along with their parents if they meet you backstage, which we may have actually just made up. We don’t know when Rannells’ episode will air, but the new season of The Simpsons will premiere on September 27 on Fox.